If you are looking for a warm drink on a cold day, forget about looking for a local Starbucks! 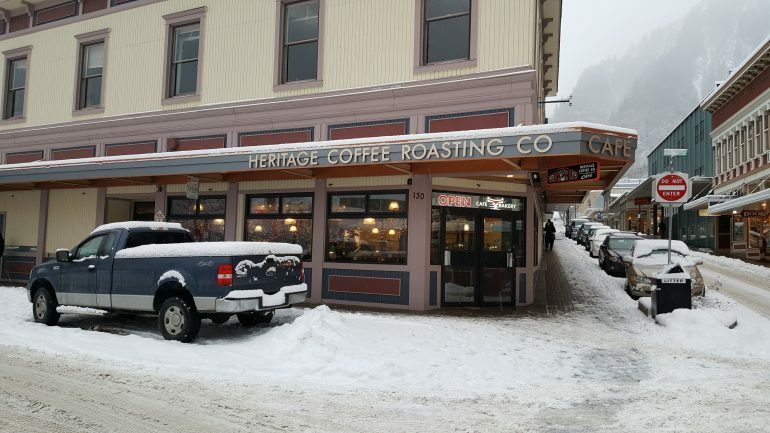 Here, you can visit Heritage Coffee, which actually got its start in 1974 Juneau with the help of the startup Starbucks, who supplied the roasted coffee beans. (For more information, check out their website here.) 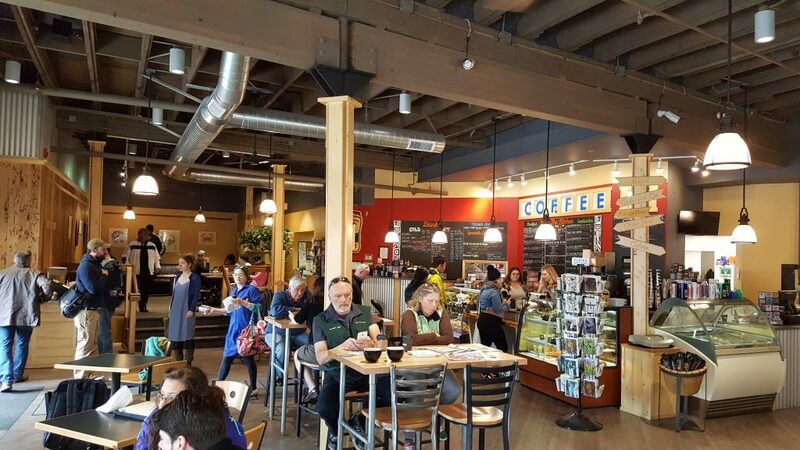 It is now located at Seward and Front Street in downtown Juneau and roasts its own coffee beans locally. 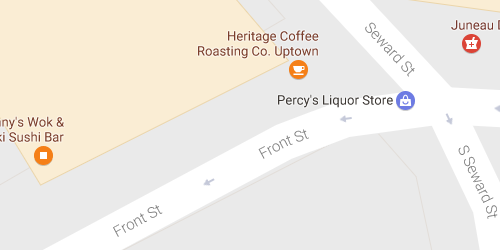 This is definitely a local favorite. Heritage is open everyday, which is nice. The coffee shop is very big and spacious. There is ample seating to enjoy your hot beverage and even a pastry or sandwich. You can grab a stool next to the window and watch all that goes on downtown. Or, you can get nice and comfy on one of the couches. There are plenty of tables to sit and eat your selected treat with your drink. My favorite is a large Mocha with two extra shots. Talk about a rush! 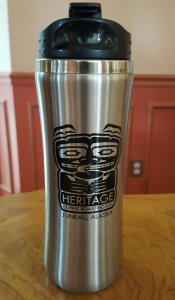 And if you are new to Juneau, you will even be able to take home a mug, or t-shirt or two with the distinctly local artwork.